The flashlight is an item that often receives little attention until you find yourself in a low light environment. When things get dark and you are unable to see what in front of you, the flashlight shall be an excellent guide. But what kind of flashlight should you use? Flashlights are usually powered by 2 types of battery: Disposable and Rechargeable. Disposable batteries are cheap to get and simple to use but they are not exactly economical in the long run. On the other hand, rechargeable batteries allow you to use to use them repeatedly which cut down overall expense. 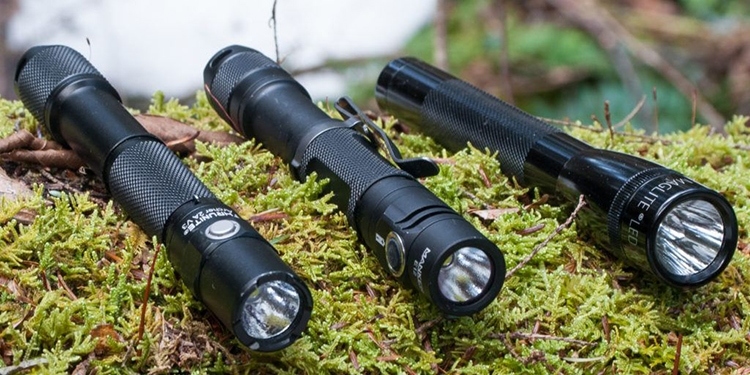 In the case that you want to obtain the best rechargeable flashlight, this article is for you. Technically speaking, certain rechargeable flashlights do tolerate the use of disposable batteries in an emergency situation. Nonetheless, the usual approach is to plug in and charge the batteries through an electric outlet. 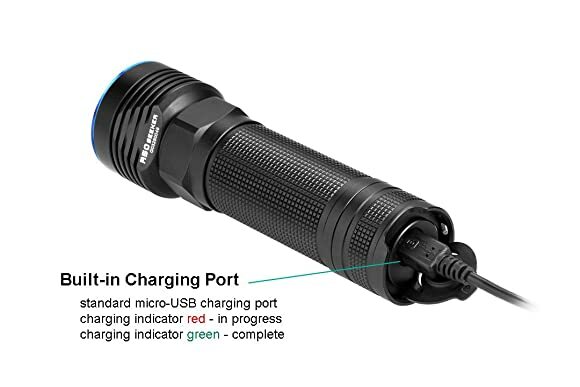 There are many rechargeable flashlights for you choose, each got unique features and specifications. It’s important to include your own needs and requirements into the selection process since personal preferences vary a lot from people to people. To buy on a whim without proper thinking could cost you dearly so be careful. Here are a couple of hints on how to find a suitable product plus some quality examples for your consideration. With the ability to reach out to a distance of 450 meters, the Nitecore MH25GT is among the best rechargeable flashlights on the market. While humble in size, it can deliver a focused, ultra bright beam with a variety of application from tactical uses to outdoor excursions. Its bezel is made of stainless steel so the core components are well protected against external dangers. The presence of the reserve polarity protection prevents all possible damages caused by incorrect battery installation. To charge the batteries, there is a USB charging port on the flashlight. You would be provided with a USB cable to perform the recharge whenever you want. 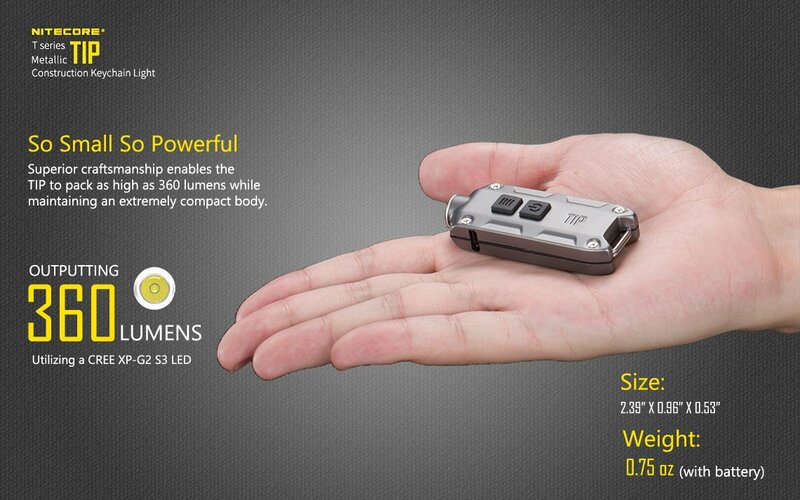 To better match different requirements, the Nitecore MH25GT offers you 4 brightness level and 2 special modes. On the highest light setting (1,000 Lumens), the battery can only last for around an hour at best. But you should be able to extend the runtime by running the flashlight on lower operating modes (300, 110, 50 Lumens). Of course, the runtime may vary since it also depends on the user habits and the surrounding conditions as well. The water resistance level of the flashlight is IPX – 8 and its impact resistance is 1.5 meters. Accompany accessories included 1 tactical ring, 1 two way clip, 1 holster and 1 18650 battery (3,400mAH). Designed for patrol purpose, the P1R Peacekeeper of SureFire is an exceptionally tough flashlight with admirable light output for its size. There are two operating modes available: High and Low. On the high light setting, the flashlight is able to produce a 600 Lumen beam, sufficient to illuminate the area or stun an aggressor. Using the P1R Peacekeeper on this mode reduce the runtime to roughly 2.75 hours though. In the average case, it’s advised to utilize the 15 Lumen beam of the low light setting so extend the battery life. 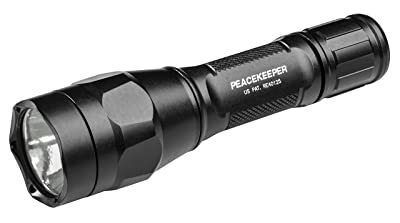 To turn on the P1R Peacekeeper, there is a click type switch located at the tail section of the flashlight. Press it once to go into the high light setting, do that again within 2 seconds to activate the low light setting. On either operating mode, you can temporarily get to the next setting by not pressing the switch all the way. Press the switch till you hear a “click” sound to permanently engage the follow-up mode. The hard anodized aluminum construction possesses great resistance against water and dirt. Overall, the P1R Peacekeeper is a good choice for tactical and nontactical situation due to its excellent qualities. 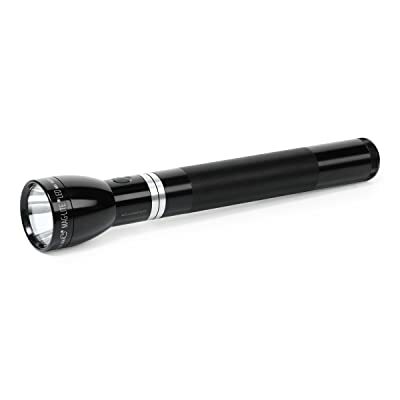 Featuring innovative function sets, the Maglite RL1019 is a product that everyone could use to good effect. The employment of modern electronic and advanced technology in its design permits the flashlight to deliver a satisfying performance. Due to the top of the line material, the flashlight body got commendable corrosion resistance which makes it a suitable item to bring into the wilderness. 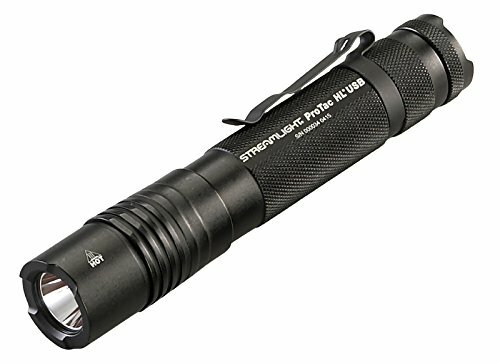 Other proofs of the Maglite RL1019 strength include an IPX – 4 water resistance level and a 1-meter impact resistance height. Depend on the user taste, the function of the flashlight switch can be programmed and changed as you see like. By selecting different function set, the sequence of the light setting shall change accordingly. There are 3 light setting in general: High, Low and Eco. Additional modes are available as well such SOS, Strobe and Momentary ON. The maximum beam distance is more than 400 meters which more than enough for most of the time. To change the focus of the beam, all you have to do is turn the flashlight head. Besides the flashlight itself, you would receive 1 charging cradle, 1 converter, 1 adapter and 1 NiMH battery pack. As the detail above , please see bellow the pros and cons to understand why this is considered as best rechargeable tactical flashlight. Able to be charged through a multitude of USB port sources, the ProTac HL USB is a versatile and forgiving flashlight to have. The battery cradle automatically adjusts itself to match the current battery dimension and liquidate potential rattle. To protect the USB port, the flashlight utilizes a sliding metal sleeve which is really effective and quite convenient to operate. Due to the anti-roll cap design, the ProTac HL USB shall stay exactly where you put it instead of rolling all over the place. The tail push style switch supports one-handed operations. In term of resistance, the ProTac HL USB got an IPX – 4 water resistance level and a 1-meter impact resistance height. While it’s not the toughest product around, the flashlight is still fairly durable for the averages uses. There are 3 switch programs for you to choose: High/Strobe/Low, Low/Medium/High and High only. On the high light setting, the beam is able to achieve a maximum distance of 200 meters but the battery only last for 1.5 hours. If you want to extend the runtime, you have to settle with the 85 Lumen beam of the low light setting. This is truely a best usb rechargeable flashlight in the market. 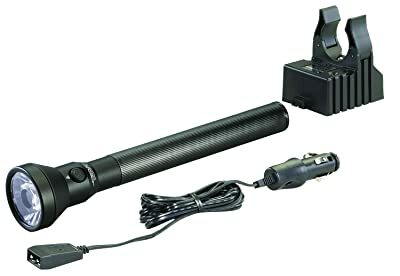 For people in need of a long range high Lumen flashlight, the UltraStinger shall be a wise investment. On the high operating mode, the 1,100 Lumen beam is capable of reaching a maximum distance of 510 meters. Its C4 LED is invulnerable to shock with an admirable 50,000-hour lifespan. 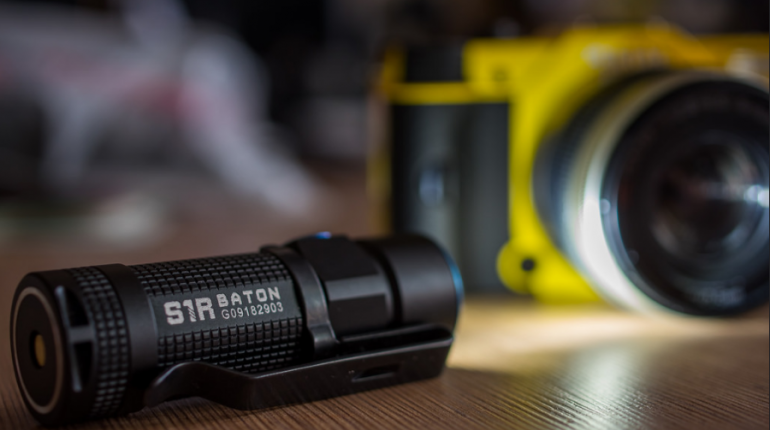 The polycarbonate lens of the flashlight is durable, it also has a scratch resistant coating as well. Its anodized aluminum structure and nonslip rubberized grip offer the user a comfortable handling at all times. The UltraStinger uses a NiMH battery to power up its beam, you can recharge it up to 1,000 times. In the usual case, the recharge should be completed in 10 hours though there is a 3.5-hour fast charging option if needed. To perform the recharge, the manufacturer provides you with a snap in charger base and a charging cord. Depend on the light setting, the flashlight runtime could vary between 1.5 hours and 16 hours. The beam intensity of each operating mode is controlled by advanced microprocessors. As for resistance, the UltraStinger got an IPX -4 water resistance level and a 3-meter impact resistance height. With no doubt, if you are looking for a best rechargeable led flashlight, you can’t miss this one. 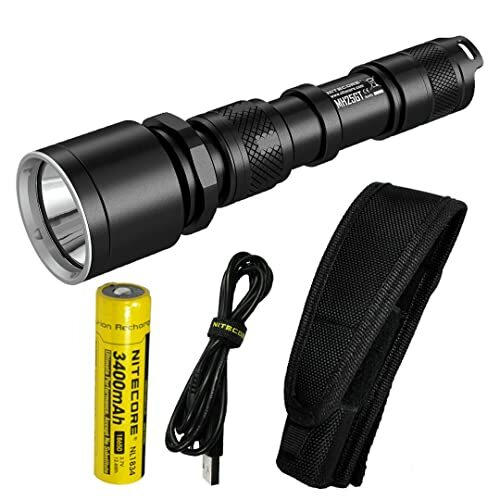 As a lightweight keychain flashlight, the Nitecore TIP provides quality light output and long runtime. The thumb-sized product is a good match for light-duty tasks with its 74-meter beam at peak intensity. Powered by a 500mAh battery, the flashlight can last for 46 hours on the lowest operating mode. People may worry that since it’s a keychain flashlight, the Nitecore TIP is vulnerable to scratching and alike. But in reality, the high strength aluminum body of the casing is able to withstand grazing force without fail. Feel good in your hand and simple to handle, the Olight R50 Seeker offers its user a bright and long beam. The light can reach out to 300 meters when you set the flashlight on the highest operating mode. There are 3 light settings available along with Strobe and Turbo mode. In order to change the current setting, simply click the flashlight side switch. The Turbo mode can be activated by a double click while a triple click should turn on the Strobe mode. Thanks to the memory circuit, you don’t have to change the mode again the next time you use the Olight R50 Seeker. For most the time, rechargeable flashlights tend to cost more than their disposable counterparts. However, don’t bother wasting your time and effort on top of the line flashlight unless you have sophisticated demands. Should all you need is a simple and basic product then a premium class flashlight is nothing but a waste of money. Check out all available options before you come to the final decision. There are many affordable rechargeable flashlights with competitive performances around as long as you are willing to look. Your budget is also an important factor to consider as well. There are two battery styles a rechargeable flashlight could utilize: Removable and Nonremovable. The first style lets you remove the batteries from the housing to perform the recharge. In certain designs, you can charge the removable batteries without taking them out. You would be provided with additional batteries so you don’t have wait for the recharge to complete before using the flashlight. The second style secures the batteries within the flashlight and you have to charge them using a charger port or a specialized dock. It’s advised to go after a product with multiple operating modes because it permits you to adjust the brightness base on the current situation. You have no need for a blindingly bright beam all the time adjustable light setting is really convenient. Keep in mind that the numbers on the label may not be 100% accurate, test the flashlight out in action in order to see its true capabilities. If are incapable of conducting a thorough experiment, look for reviews and opinions on the Internet. They should give you a general idea about the product performance. And those are some of the best rechargeable flashlights on the market, anything catches your attention yet? It’s not easy d to make a good purchase when you know little about available options. But with the help of this article, you should know exactly what kind of flashlight is suitable for your needs.